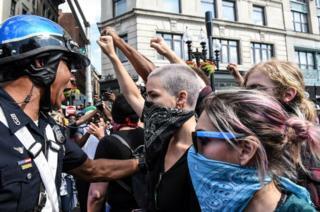 Image caption In Boston, Massachusetts, thousands of anti-racism protesters took to the streets in opposition to a "Free Speech" rally featuring right-wing speakers. There were reports of arrests as some protesters clashed with police. Tensions were high after violent demonstrations in Charlottesville, Virginia, last weekend. 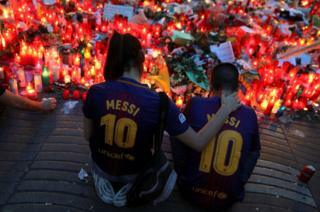 Image caption An impromptu memorial was set up on Las Ramblas in Barcelona where 13 people died and dozens were injured when a van ploughed into crowds. 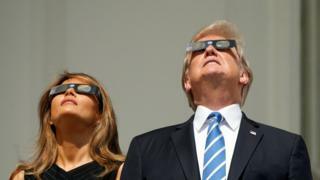 Image caption US President Donald Trump and his wife Melania watched the solar eclipse from the balcony of the White House. 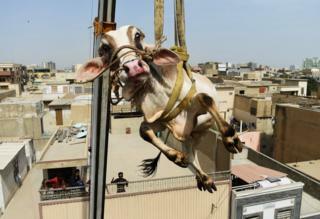 Image caption In Karachi, Pakistan, a young bull is lifted by crane from the roof of a four-storey building where it had been raised since it was a calf. The animal was being prepared for sacrifice as part of annual Eid al-Adha celebrations. Image caption Cast members from a production of Dmitri Shostakovich's The Nose dance outside Australia's Sydney Opera House. 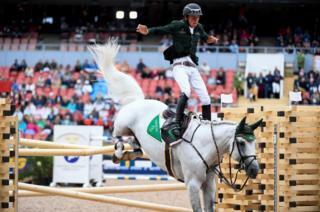 Image caption At the European Showjumping Championships in Gothenburg, Sweden, Bertram Allen of Ireland falls from his horse, Hector Van D'Abdijhoeve. Image caption At low tide, the Brambles sandbank briefly appears in the middle of the Solent. 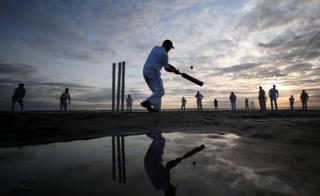 It is the location of an annual cricket match held between the Royal Southern Yacht Club, Southampton, and the Island Sailing Club, Cowes, Isle of Wight. 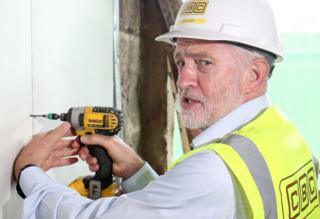 Image caption Labour leader Jeremy Corbyn visited Parkhead Housing Association construction site in Glasgow. The association attempts to provide good quality affordable housing to those in the local community. Image caption Teams approach the finish line as they participate in a seaweed race during the Cruinniu na mBad (Gathering of the Boats) regatta. 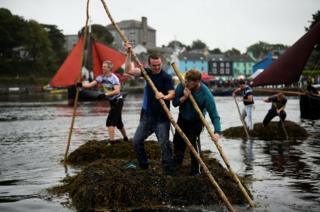 They push bundles of seaweed, known as Climin, that weigh several tonnes from the sea to the harbour finish line in Kinvara, Ireland. 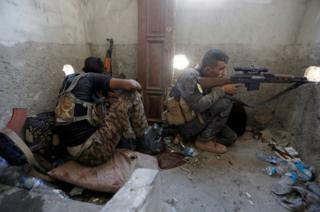 Image caption In the old city of Raqqa in Syria, a sniper of the Syrian Democratic Forces aims his weapon in fighting with the so-called Islamic State. 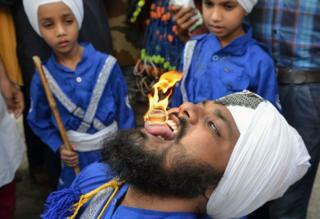 Image caption A Nihang, a religious Sikh warrior, holds a flammable cube on his tongue during a religious procession to mark the 413th anniversary of the installation of the Guru Granth Sahib at the Golden Temple in Amritsar, India.